A conversation with my niece prompted me to re-post this blog. 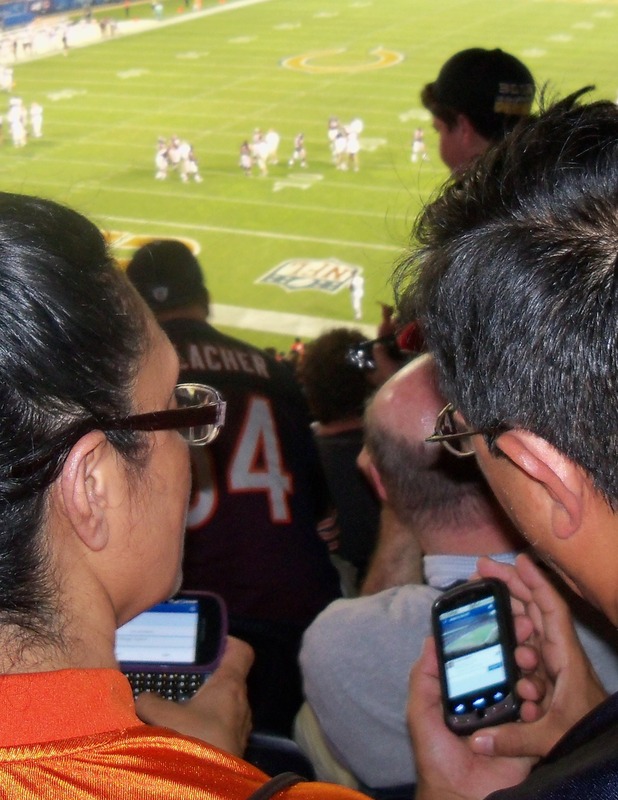 A few years ago my husband, Paul, and I were ecstatic to be able to attend a preseason Chicago Bears game. The sweltering heat could not deter us from arriving early for tailgating on the parking deck and then onto the excitement of the game. We arrived at our seats with great expectation of watching the game LIVE! Many of the seats around us were empty, including the two directly in front of us. During the second quarter a couple arrived to fill those seats. From the moment they sat down they were a distraction. The woman spent most of the game playing with her phone, standing up to take pictures, holding her phone up over her head (and in front of my face) to video tape the game. Her husband mostly utilized his phone for what it was originally created for, to make calls, apparently to other people at the game because he would randomly stand up and look around and wave. At very few points did this couple actually WATCH the game. Paul stopped me on several occasions from saying something to them as they, for the hundredth time, stood up, blocking my view to take a random picture. I tried to keep my focus on watching the game and enjoying time with my husband, however; this couple created quite a challenge for me. Their almost complete attention to their phone technology got me thinking about how much of our lives we miss out on because of the distractions that all of the technology, ironically designed to keep us more connected, has created. When was the last time you went to a movie, play or concert without Tweeting or Face-Booking about it? When was the last time you played a board game with your family or friends? Most importantly, how could your current relationships flourish if you spent focused time relating to those around you without the distraction of the phone or computer? As a lot of my life is spent in front of the computer and on the phone, I try to have phone/computer free times in my week to just be present with my husband, friends and neighbors. I’ve realized that, while technology has made me more connected, it has also created an environment where I am more focused on what people are posting on Twitter and Face Book than the people right in front of me. So take time today to turn off the phone and computer and give the gift of your undivided attention to the people right in front of you (after you re-post this to all your social media). 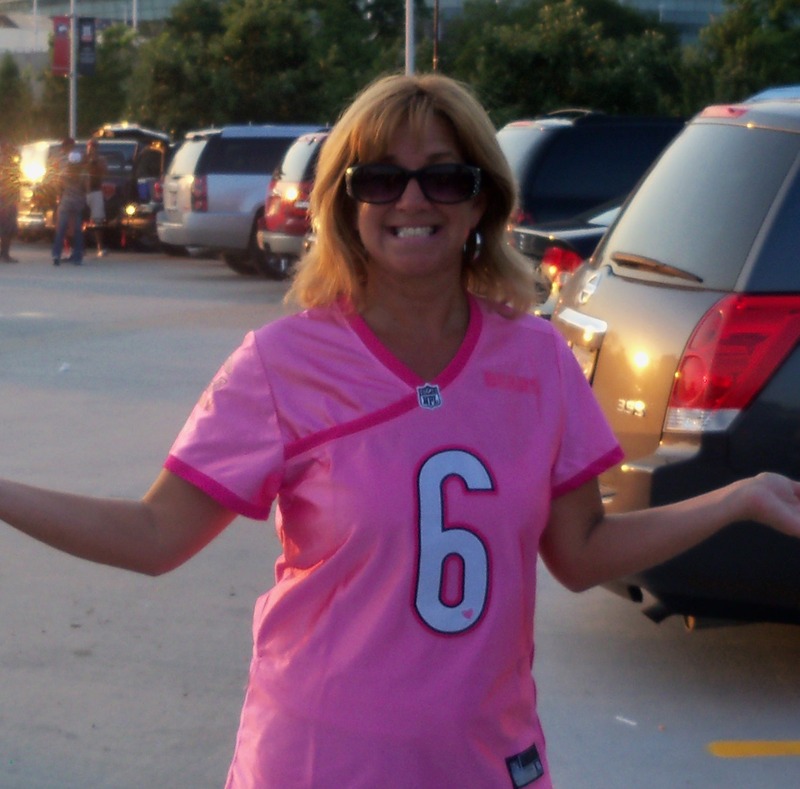 This entry was posted in boomers, caregiving, eldercare and tagged baby boomers, boomers, caregiving, caregiving and stress, chicago bears, connection, eldercare, facebook, facebook. attention, family time, selfies, social media, texting, Twitter. Bookmark the permalink.